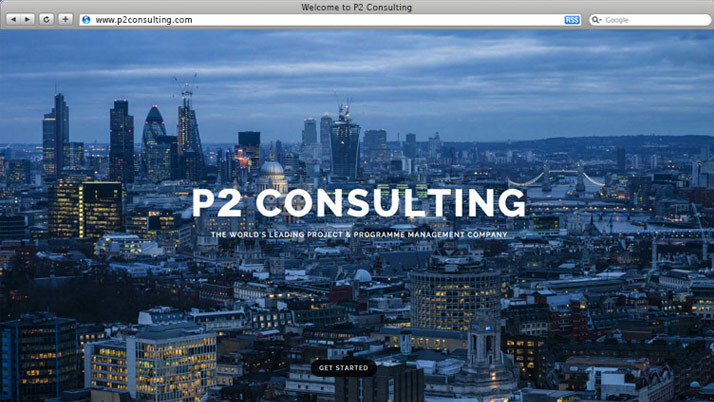 P2 Consulting is the world’s leading project and programme management company. Having first met the client in 2013 when we built their first website, we maintained the strong relationship which secured us the website redesign project. The brief was to create an engaging corporate appeal but also allowing the brand creative flair to stand out. 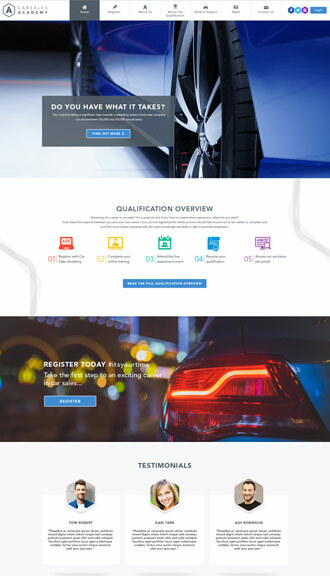 Working closely with the client, we carefully selected stock imagery which represented the brand’s forward thinking and unique approach to their services. 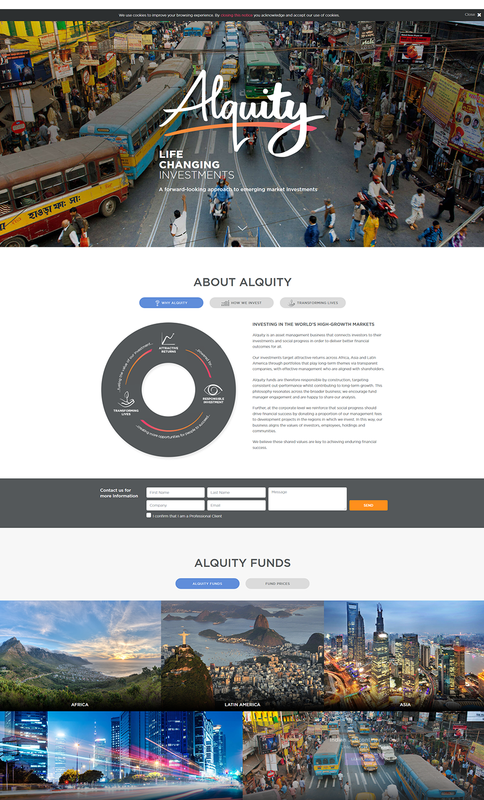 We designed and built the website as a single page, scrolling JQuery site, utilising touch screen technology for modern devices with such capabilities. 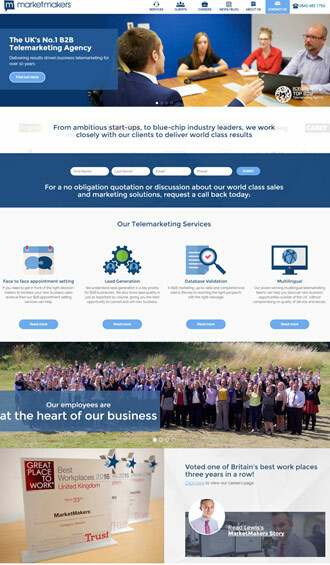 Both us and the client received a huge amount of praise for the unique design style, use of striking imagery and general website flow. 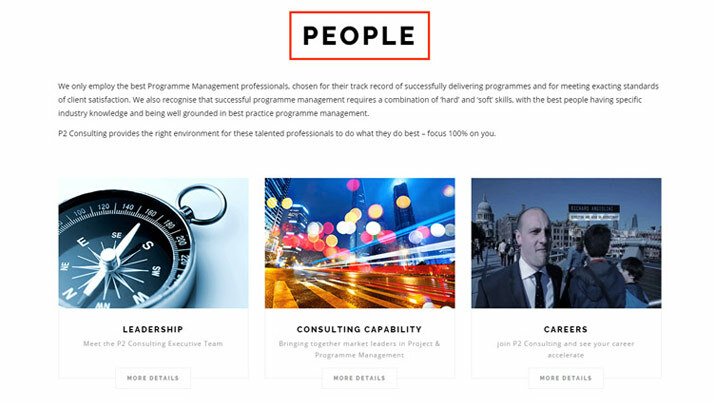 The new website helped P2 Consulting drive their brand and marketing strategy forward, and was instrumental in securing new clients and boosting their reputation as one of the world's leading project and programme management companies. 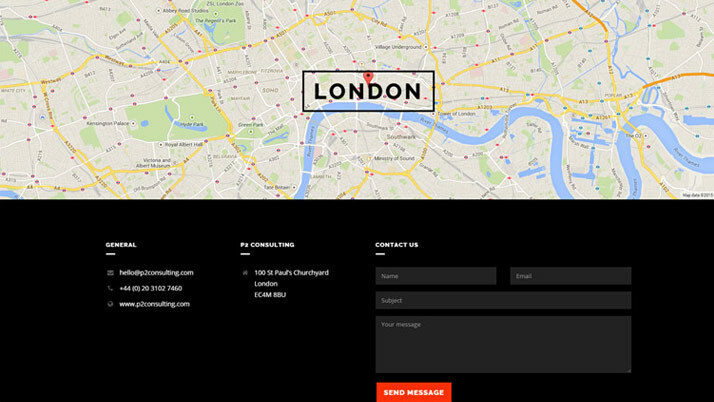 P2 Consulting have had the pleasure of working with Red 13 since early 2014. They have successfully delivered two website redesign projects and two mobile phone application which have helped propel the P2 digital brand. Their work ethic, speed of response, creative input and end result have all been exceptional. We look forward to continuing and growing the business relationship.